I’m just back from a five-day trip to Phoenix, Arizona. From Wednesday to Sunday, I attended in a Stampin’ Up! Demonstrator retreat and training hosted by my amazing friend, Lisa Pretto. Not only was I there to soak in as much as I could from the huge pool of talent who also attended, but I shared an hour-and-a-half long presentation about ways to introduce an online component into your Stampin’ Up! business. What an honor to be asked and a thrill to share. Do you recognize any familiar faces? Here’s what’s amazing about this group – while the training was mostly focused on Stampin’ Up! demonstrators who are running a business, there were several demonstrators who aren’t interested in building and business – they show up for the craft and community. And that’s OK! Looking back. After I returned home from the retreat, I took a look back at some “truths” I had posted on my blog about three years ago. I was just starting to build a following on my blog and was beginning to add members to my amazing online community. These truths still hold true now (with only a few adjustments), so I thought I would share them with you. I want you … to feel inspired each and every day – to think about stamping all day long. I want to poke your brain in the morning with some sort of idea or concept so that you have an excuse to think about cards and crafting for the entirety of your day. I want you … to enjoy the time you spend with your stamps. I am fortunate enough to spend lots of time completing projects with my stamps, papers, dies and punches. You might not have as much time, so I am happy to share what I learn or what inspires me. It helps you to streamline your projects, right? I want you … to create things you love and can’t live without. It makes you happy. When you are happy, then I am happy. When I am happy, I create and share – and that makes you happy, which makes me happy…we could go in this circle all day long. I want you … to enjoy your stamping space. Organizing is a hobby in itself. I love to share ideas I have implemented to keep my space as tidy as it can be in hopes that it can help you to better enjoy your space. I want you … to get the most out of your stamping purchases. I don’t ever want you to buy a stamp set, for example, that just sits on your shelf. There are thousands of ways you can use that stamp, and I want to inspire you to use it. I also want you to maximize the benefits you can receive from your purchases. I want you to be aware of the promotions and benefits so that you feel good about the items you’ve purchased. I want you … to be a part of InKing Royalty, my amazing online community. During Sale-a-Bration, the Stampin’ Up! Starter Kit is only $99 for $155 of YOUR CHOICE of products (and free shipping). Think of it as the BEST BUNDLE in the catalog. $155 of amazing product of your choice + free shipping for $99. an ongoing 20% discount on your purchases (possibly more). access to amazing community and daily inspiration. no risk to ever host a workshop and no penalty to drop. The Starter Kit is so limited. NOPE! While the kit USED TO identify certain items (stamp sets, markers, ink pads) that were standard for a Starter Kit, they are now designed for you to fill any wish list. You can add any items from the current catalogs to the Starter Kit. I have to sell to someone else. NOPE! You don’t ever have to make a sales pitch to anyone else. If you are happy crafting by yourself, then I love you all the same. 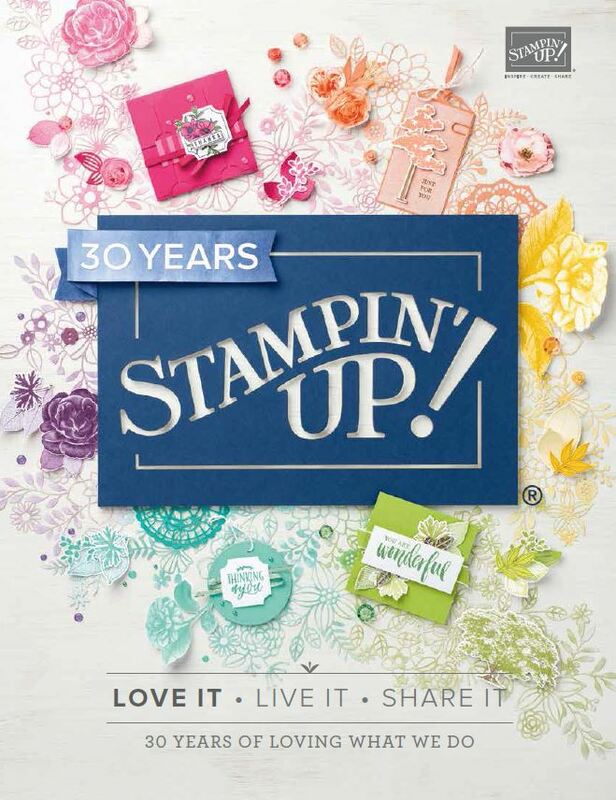 You have zero obligation to sell Stampin’ Up! products to anyone – unless you want to. I have to hold classes or workshops. NOPE! It goes hand-in-hand with the first point. You don’t ever have to host a class or workshop – unless you want to. I have to meet minimums as soon as I join. NOPE! You immediately begin to receive a 20% discount on all purchases. If you accumulate $300 in sales or purchases during the first quarter, then you continue to receive that discount during the next quarter. You don’t HAVE TO do anything after you buy the Starter Kit. If you join in our online community, though, I’m pretty sure you’ll want to stick around. We have a lot of fun! I would love to chat with you if you have considered (or are considering) being a part of our Stampin’ Up! community. I’m happy to answer any questions you might have or share any thoughts I have about this wonderful experience. Email me at [email protected] if you’d like to set up a time for a call. If you are ready to purchase the Starter Kit and join our incredible community of stampers, CLICK HERE. “A community of like people who share the love of stamping and crafting…and a fabulous and creative leader.” – Pamela M.
“I love being a part of InKing Royalty because it is so much fun – and I get to learn from some of the most talented folks around.” – Gay Lynn M.
“Whether you are working the Stampin’ Up! business or enjoying the perks as a hobbyist, you will receive the same encouragement, inspiration and support from Brian and the other Royals.” – Denise H.
At the end of the day, I want you to love stamping. I want to have fun with people who love stamping as much as I do. I would love for you to join me on this thrilling ride! love you work you keep on inspiring me. And you are right. Stamps can be used in many different ways. I recognized Mary and you Brian, what fun this must have been. I’ve been following you for a few years now and it’s always delightful to see your creations. Thank you for always sharing what you love with us. Maria – You’ve been following me from the beginning. You are quite an amazing artist, and I’m happy to share with you. Love your post Brian! You live these principles! I love being a part of your team. Even though we live like 10 states away, you treat me like a friend and support me as needs arise. Thank you. I love your comment that goes around in circles about making us and you happy. It reminds me of the books “If you give a pig a pancake” or “If you give a mouse a cookie”. I just might have to right a book titled “If you give Brian King a stamp set”. Haha. Brian, You are so awesome, talented, and thank you for sharing your knowledge. Hi Linda! Thanks so much! I’ve certainly enjoyed getting to know you these last years. Oh Brian, what can I say… I absolutely LOVE being part of InKing Royalty! It’s one of the best decisions I’ve ever made. There is nothing like bringing stamp to paper and being part of your team is the icing on the cake! Brian, a wonderful post today! Although I’m not in your group, we are “Pals” and share the love of stamping. Having had the pleasure of meeting some of your Royalty in Atlanta, you very much are an inspiration to them as they to you. Thank you, Brian, for your daily dose of creativity that goes straight to my brain! Cindie – you are so awesome! You’ve been a longtime reader, and I always appreciate your comments. I am in awe of the leadership you give to your Royals. Even though I am not in your downline you inspire me daily. I’m so proud to be your upline. If anybody reading this has any hesitancy in joining under Brian, it is completely unfounded. He speaks the truth. You have nothing to lose but everything to gain! I wouldn’t have it any other way, Pam! So glad Stampin’ Up! brought us together and am thrilled to be a part of your team. You inspire me in more ways that you know, and I appreciate your wisdom and support. Awesome! I’m grateful for your inspiration, thanks Brian! Thanks, Dawn! You are wonderful! you have a community of demonstrators that cheer you on. Thank you for sharing and inspiring us as well. Awww. How sweet, Katrina! Thanks. I joined to get the Stampin` Success magazine (giggle) That was during a big join up promotion time and decided I would just give it a try . That was over two years ago and I am still glad I did . I love being in the know about new products and catalogs . I am very happy that I can get a discount (I don`t sell) and it is just fun to be included in a great group with Brian as our KING !! Sonny – I couldn’t be happier that you made the switch from customer to team member. I love your enthusiasm for the sneak peeks and special offers. You add so much support to the group. I’m so glad I joined InKing Royalty last April. I thought I would get the starter kit, maybe a few things on discount and be done. Well, my perspective has changed. I find new reasons to enjoy this craft every day with so many amazing people from all over. I get inspired and encouraged to do more. I haven’t even started getting into the business side of things and I’m having a great time. I wish I had started sooner. You are such a wonderful part of our community, Shawn. I love that you share you talent and enthusiasm for this art with everyone else. So glad you are with us. Jennifer – I love all the support and friendship you offer the member of our community. On top of that, you have talent coming out of your pores. I can’t wait to stamp with you in March. 🙂 I love you, too! I am a hobbist, who loves your blog and all of your creations. I love your simple CAS style. Thanks, HJ! I’m so happy to share.